I have entered the Pattern Review Great British Sewing Bee competition this month*. The first challenge was to make a pair of shorts or capri pants. My polka dot capris will be blogged soon. Suffice to say, they got me through the first round. Challenge number two was a bias cut garment. Bias cut? I never make bias cut garments. They have a habit of showing lumps and bumps I'd rather keep well hidden. This was a challenge indeed. After examining and rejecting every pattern in my arsenal I finally turned to my stack of Patrones magazines. I love those magazines, they have interesting and lovely designs. I flicked through the pattern layouts and looked at anything that was cut on the bias. Eventually I settled on this dress. This is dress number 20 from the October 2013 issue of Patrones Extra Magazine (No 33). It is completely bias cut, but is not too clingy. The skirt is quite full and the ruffles add some extra interest. I chose a lovely cotton voile with an abstract print that I had bought from a Morrison (Australian designer) sale a few months ago. This light fabric required careful sewing and I used French seams throughout (inside picture above). This was tricky as the fabric wanted to gather along every stitching line. I also had big problems working out how to French seam the neckline flounce. It took me three goes before I got the right side showing! 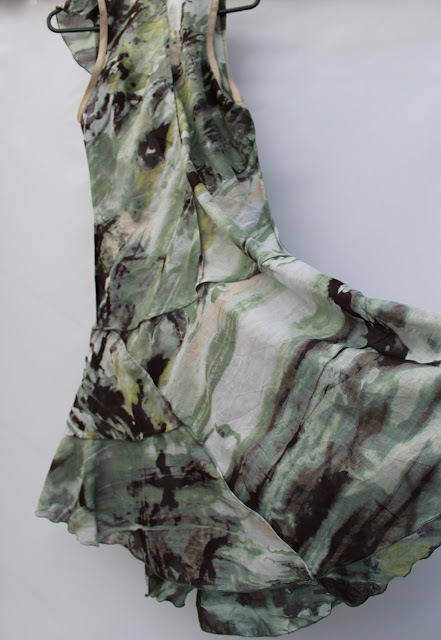 The flounce follows the neckline and then extends past it down the front of the dress. The hem of the flounce and all the other hems of the dress are finished with a rolled hem on the overlocker. The flounce has a bit of hand beading on it too. The skirt is made up of ten pieces, all different and asymmetrical. 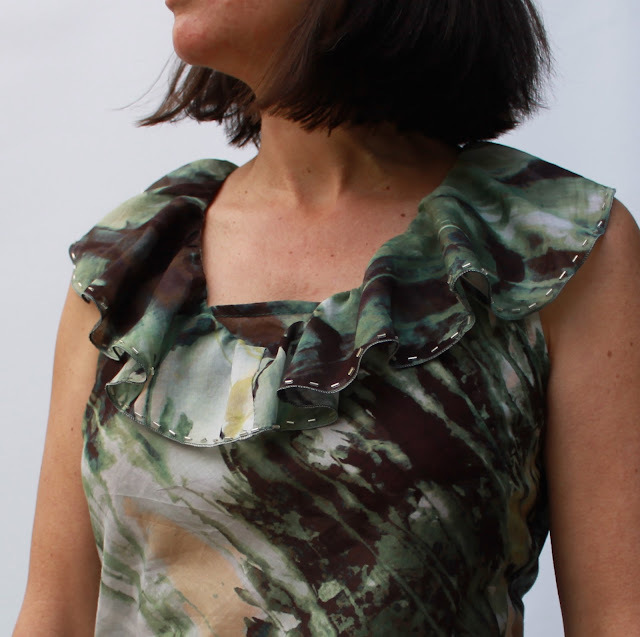 There are ruffles along four of the seam lines and the hem dips at the front and back. The back has a slight racer back, which is nice with the ruffle falling over the shoulders. 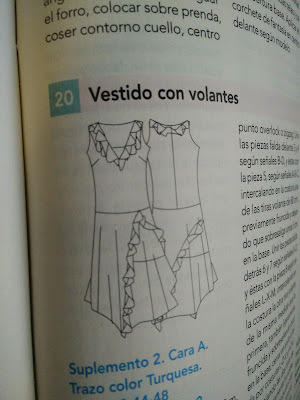 This dress was quite involved to make, not least because the instructions were in Spanish so no use at all to me! 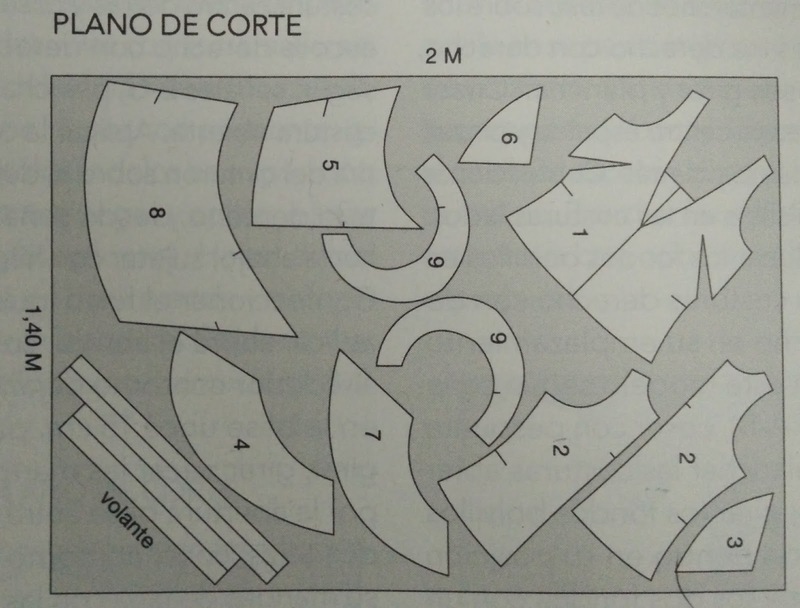 It took quite some working out just to determine which pieces were meant to go where, let alone how to sew them together. It seemed to work in the end though and I didn't have any pieces left over, so something went right! I am very happy with this dress. The bias cut bodice is fitted, but not too tight. The skirt is swishy and cute and the ruffles and print distract from lumpy areas beneath. 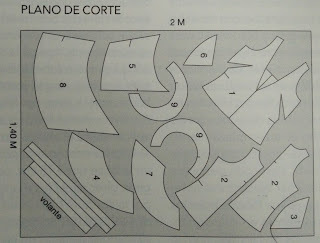 Now to sew some of those other gorgeous Patrones patterns I've remembered after searching for this one! *There is no public voting in this competition, a judging panel makes all the decisions. There are four rounds in total. This is STUNNING! I love everything about it - totally awesome. Amazing. You have far more patience than me. 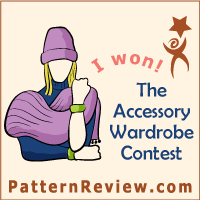 Clever design for you and the contest and great fabric choice. It's not patience, it's therapy. Thank you! It's a beautiful fabric which I'd have guessed to be silk. You always look great in your garments but this one is rather special. I'm happy to hear that it took some working out to get those skirt pieces together. You didn't mention that in your review, and I was wondering if it was just me that struggles with some of those patrones patterns. Your dress looks really cool and the hand beading on the flounce gives it your signature "something extra". I imagine that it feels amazing on. What a complex and demanding project! Your efforts really paid off. The dress is amazing. Best of luck! Beautiful dress. A worthy entry in the bias cut challenge. Good luck!! Thank you. I've just found out that I made it through this round! 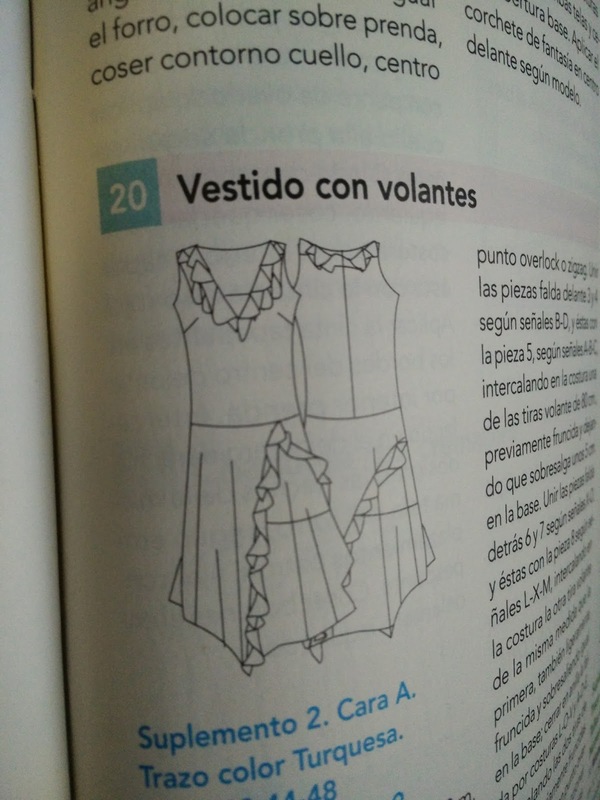 OMG a detailed dress and not in English! You have done well! Ha ha. Throw away the instructions and live dangerously! This is absolutely gorgeous. Love the abstract print paired with the ruffles. Great combination. Your sewing skills are amazing. I would not expect a dress with that much ruffle would be so cute - good spotting of that interesting pattern. Very pretty. I was worried the ruffles would be too much, but the print hides them a bit and I am happy with the result - thank you! Hola, creo que su vestido es muy bonito - Looks like you do perfectly well without Spanish translation, but it means Hello, I think your dress is very beautiful. Hola, where were you in my moment of Spanish need?! Thank you!